The actor and producer’s council head is currently busy shooting for his untitled flick under the directorial of Sundar C in Turkey. The actor who met with an accident on the shooting spot was joined by his fiancé recently. However, the actor has recovered now and has resumed his shoot for the film. The film has actress Tamannaah in the female lead role. Recently, ace director Mysskin has paid a visit to his dear friend actor Vishal in Turkey. Mysskin who was last seen on Super Deluxe under the directorial of Thiagarajan Kumararaja was also one of the writers of the film. He also portrayed a role in the film of a very pious person inclining down to become an atheist. The role was critically acclaimed by the audience as well as the critic. 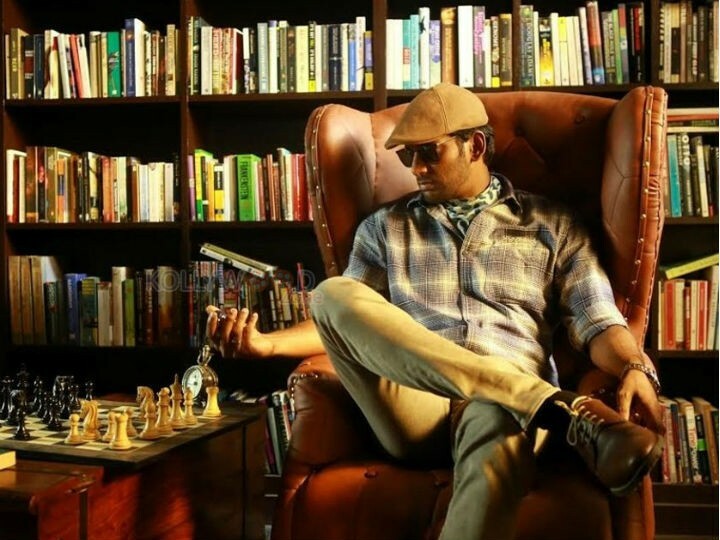 The director’s last directorial venture was Thupparivaalan starring Vishal as a detective inspired by the novel Sherlock Holmes by Sir Arthur Conan Doyle. The reason for the meet up between the actor and the director in Turkey is publicized now. Director Mysskin has made a script for the sequel of his last film Thupparivaalan in order to narrate the script and get a personal conformation from the actor’s association president the director has flown to Turkey. The purpose for the director’s travel seems to have borne fruit as now we have the official confirmation for the project. Just hours after the meet of Mysskin, Vishal and Sundar C, Vishal’s PRO Johnson posted a picture of the three on his twitter account and made the official announcement of the film. The PRO stated, ‘It is officially confirmed by Vishal that Mysskin will team up again for Thupparivaalan 2, Mysskin went to Cappadocia where Vishal and Sundar C are shooting for their untitled film.’ More than the official announcement of the project the director’s journey all the way to Cappadocia just to get a confirmation for a film has made headlines. On the work front, director Mysskin is currently directing his film Psycho starring Udhayanidhi Stalin, Aditi Rao Hydari and Nithya Menon. The project will be funded by Red Giant Movies after a lot of tussle this project has gone on floors. The music for the film is composed by Maestro Ilaiyaraaja while PC Sreeram will be behind the camera for the film. Actor Vishal is currently gearing up for the release of his movie Ayogya remake of Telugu movie Temper. The actor is busy shooting for his untitled flick in Cappadocia with Sundar C and has Madha Gaja Raja in the box for a long time.